Published for the first time in 2005, The Surrey Downs Magazine has built a loyal following amongst local readers due to a superlative track record of delivering the very best in luxury lifestyle journalism. Edited by Jane McGowan – a career journalist with 25 years’ experience who also edits The Guildford, Farnham and Woking Magazines – regular columns on the best food and drink, activities for kids, seasonal fashion picks, tips for staying in shape and advice on the best schools supplement a variety of lead features ranging from coverage of local projects and events to interviews with celebrities of the calibre of John Humphreys, Brian Blessed, Jo Brand and Warwick Davis. 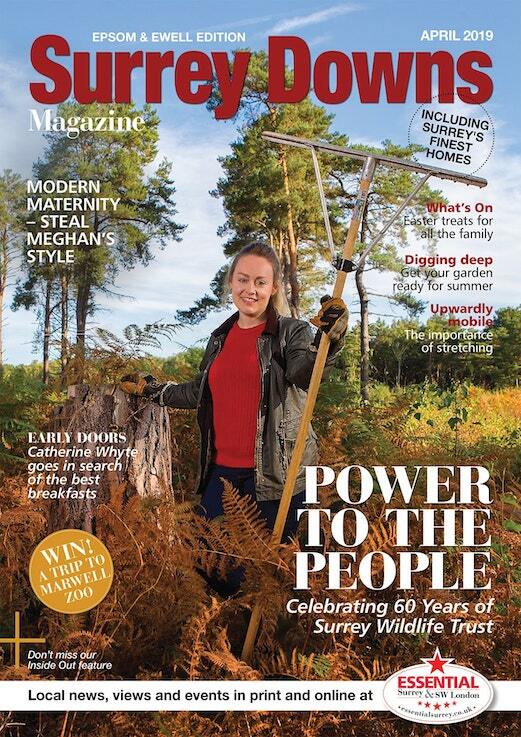 The Surrey Downs Magazine is published 12 times a year and distributed free to 34,000 AB1 households and businesses in towns and villages across east Surrey. To advertise, get in touch with the sales team on 020 8939 5600 or sales@sheengate.co.uk. Distributing 34,000 copies to: Nonsuch, Cheam & Cuddington SM2, SM3; Stamford & Ruxley KT19; Woodcote KT18; Epsom Town KT18; College Ward KT17; Ewell Village KT17; Banstead & Nork SM7; Chipstead & Woodmansterne SM7, CR5; Kingswood KT20; Reigate & Redhill RH2, RH1; Tadworth & Walton on the Hill KT20; Tattenham Corner KT18; Tyrell’s Wood KT22; Ashtead KT2, KT21; Leatherhead KT22; Bookham & Fetcham KT23, KT22; Dorking RH4; Westcott RH4; Westhumble & Mickleham RH5; Givons Grove KT22; and Purley CR8.